Synopsis (from GR): Jubilee Chase and Flynn Cormac should never have met. Lee is captain of the forces sent to Avon to crush the terraformed planet's rebellious colonists, but she has her own reasons for hating the insurgents. My thoughts: I will admit that I put off reading This Shattered World for the longest time. I liked These Broken Stars, sure but I found that it was quite heavy on the romance and it wasn't really what I was looking for. If I'm being honest, it felt like a romance novel masquerading as sci-fi, and although there were elements there that I loved - there were some decent actions sequences and the conspiracy theories surrounding LaRoux Industries intrigued me - it wasn't enough to make me run out and grab This Shattered World the second it was published. 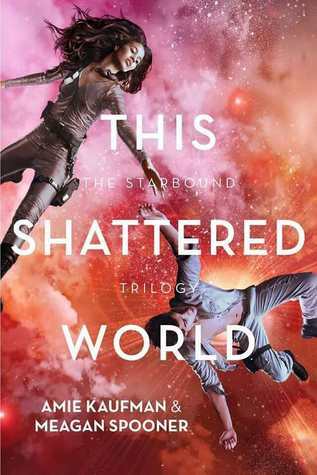 Which is unfortunate, because This Shattered World was basically everything I wanted These Broken Stars to be. I will be sprinting to my nearest bookstore the day Their Fractured Light is released. Going into this, I really only knew that this book wouldn't be focusing on Tarver Merendsen and Lilac LaRoux - we were being introduced to a new couple and a new planet. I actually really liked this decision, because I absolutely hate the trend in YA where a story that can really be wrapped up in one book is stretched out into a trilogy, and I felt that Tarver and Lilac's story really had no where else to go. That said, Tarver and Lilac made a cameo in This Shattered World, neatly wrapping up their story for the fans who wondered what happened to them, and tying the events of the two books together. The mysterious elements that kind of hovered in the background of These Broken Stars are brought to the forefront here. We are introduced to Jubilee Chase and Flynn Cormac, both soldiers on opposing sides of a war being waged on the planet Avon. Despite their opposing political views, Jubilee and Flynn find they have a lot more in common than they originally thought, and soon find themselves trying to solve a mystery that has them questioning their own reality. We are given a better idea of what LaRoux Industries is up to - or at the very least, the enormity of it. What they are trying to accomplish, what they're willing to sacrifice in order to achieve their goals, and how far they will go to cover their tracks. It was like These Broken Stars was a close-up shot, and This Shattered World was taken a couple of steps back and allowing readers to see the bigger picture. I also thought that the stakes were driven higher in This Shattered World - with the tension between the military and the Fianna, it felt like there could be an uprising at any moment, especially with the Fury - a disease that seems to only affect the military - thrown in the mix. Can I just make a little point here? I really appreciated the way Kaufman and Spooner dealt with speaking about war. I am the daughter of a Vietnam veteran, and from the very few times that my father has spoken about his experiences in the war, I have learnt that in a war, everybody loses. Wars are complex, multifaceted things; a difficult subject to broach and always told from the perspective of the victors. I appreciated that Kaufman and Spooner explored a variety of perspectives and tried not to demonise characters - there were grey areas, as there should be. This Shattered World was a fantastic second novel and a welcome addition to my shelves. 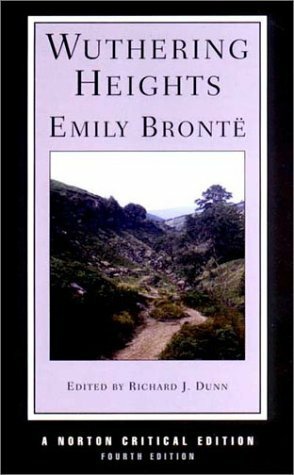 It was grittier and darker and more nuanced than I was expecting, and I was so glad that I took a second chance on this trilogy. I cannot wait to see where Kaufman and Spooner go from here!